Happy Monday! 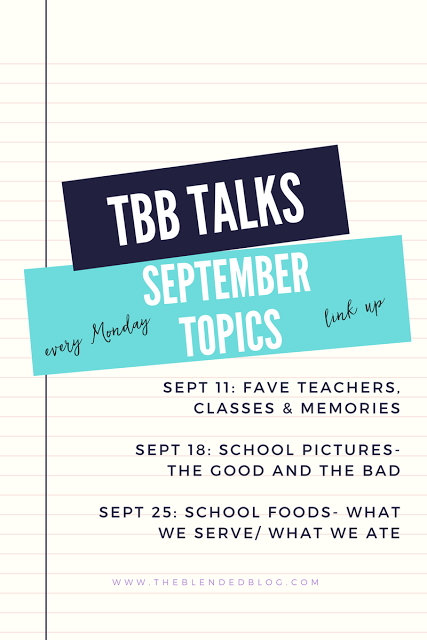 Back for the last topic in September: School Foods - What we serve and what we ate as a kid. Go check out my favorite thing to buy at school as a kid (I cannot even believe I ate that), and see what we've been giving the most picky eat on the face of the planet in his lunch since he started 1st grade. Now go link up what you serve your kids and/or what you ate!